Among the 2016 Grinnell Prize winners is, for the first time, a Grinnell College graduate. 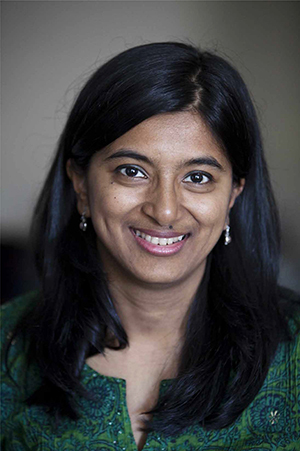 Luna Ranjit ’00 founded Adhikaar in 2005 to promote human rights and effective social justice work in Nepali-speaking communities in New York City and the United States. Adhikaar works to understand and address the needs of the growing Nepali immigrant communities through community-based participatory action, research and leadership training. In 2006, Ranjit received the Joseph F. Wall ’41 Alumni Service Award, which is given to Grinnell College alumni to either jump-start or complete a project that shows creativity and commitment to effecting positive social change. She also won an Alumni Award in 2016. 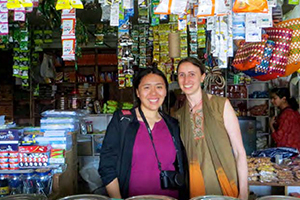 Diana Jue and Jackie Stenson co-founded Essmart Global, which works directly with local street vendors in India upon whom the majority of households rely for their consumer needs. Essmart engages local consumers, vendors, and technology users as active decision-makers in their product choices and distribution methods. Essmart’s innovative and interdisciplinary, last-mile distribution model is sustainable and gives developing communities decision-making power in their own well-being and economic growth. Nominations for the 2017 Grinnell Prize open July 1 and close Oct. 9. The prizewinners will be on campus for Prize Week during the week of Oct. 3. The awards ceremony will be held Oct. 4.